Omar Garcia, DMD If you are suffering from a tooth infection caused by decay or injury, you may be in need of a root canal. Cancun endodontic specialists at DENTISTAR can work with you to discuss the root canal treatment and ensure that your procedure is painless and effective, leaving you with an improved, healthy smile after just one visit. EXPERTS IN CANCUN ENDODONTICS At DENTISTAR , our patients receive top-quality care and expertise from leading dental specialists in Cancun endodontics. Root canal therapy is performed when the tooths root becomes infected due to cavities or cracks, causing discomfort and swelling in the area. 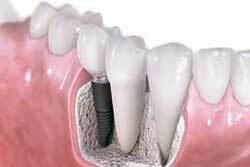 The procedure involves cleaning out the root canal to prevent further damage and save your tooth. When performed by professional endodontist, Dr. Omar Garcia, at DENTISTAR, you can be sure that your smile is restored to show healthy and beautiful results. ROOT CANALS Root CanalsWith the latest in dental technology and anesthetics, At DENTISTAR, you can discuss your comfort levels with a specialized endodontist, who will find the right anesthetic treatment that works best for you. Dr. Garcia has the experience and expertise in Cancun endodontics to ensure a quick and painless root canal, often completing the procedure with successful results in just one visit. Dont let the fear of pain or discomfort prevent you from receiving the dental care you deserve. 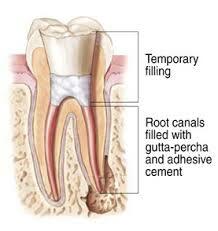 Make an appointment with DENTISTAR for pain-free root canal treatment.